Adiponectin, also called ACRP30, is a novel adipose tissue-specific protein that has been shown to improve insulin sensitivity and to exert anti-atherogenic effects. It is known that knockout mice lacking endothelial NO synthase (eNOS) develop hypertension, insulin resistance, hyperlipidaemia, and show augmented ischaemia-reperfusion damage. Thus, we examined whether globular adiponectin activates eNOS to produce NO. To analyze NO production in bovine aortic endothelial cells (BAE), NOx (nitrite and nitrate) was measured in the medium with an automated NO detector/high-performance liquid chromatography system. eNOS activation was assessed by phosphorylation of the enzyme and its activity was evaluated by citrulline synthesis in human umbilical vein endothelial cells (HUVEC). eNOS mRNA and protein expressions in HUVEC were evaluated by Realtime PCR and Western blot analysis. Gobular adiponectin increased NO production in BAE. It also caused eNOS phosphorylation and potentiated eNOS activity in HUVEC. In addition, globular adiponectin up-regulated the eNOS gene to increase protein expression in HUVEC. Globular adiponectin increases NO production through two mechanisms, namely, by activation of eNOS enzyme activity and via an increase in eNOS expression. Activation and up-regulation of eNOS could explain some of the observed vasoprotective properties of globular adiponectin, as well as its beneficial effects on the cardiovascular system. Adiponectin, also called ACRP30, is a novel adipose tissue-specific protein that shares structural homology with collagen VIII and X, as well as complement factor C1q, and circulates in human plasma at high concentrations[1, 2]. It is a physiologically active polypeptide secreted by adipose tissue. 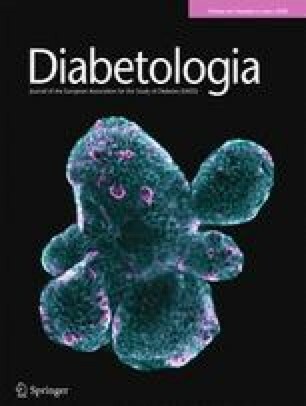 A reduction in adiponectin expression has been associated with insulin resistance in some animal models. In these models, administration of adiponectin was accompanied by a reduction in plasma glucose and an increase in insulin sensitivity. In addition, thiazolidinediones, drugs which enhance insulin sensitivity through stimulation of peroxisome proliferator-activated receptor-gamma, increase plasma adiponectin and mRNA expressions [3, 4]. Adiponectin increases insulin sensitivity by increasing tissue fat oxidation, resulting in reduced circulating fatty acid concentrations and reduced intracellular triglyceride content of liver and muscle [5, 6]. It also has anti-atherogenic effects [7, 8, 9, 10]. Adiponectin suppresses the expression of adhesion molecules on vascular endothelial cells, as well as the production of cytokines from macrophages, thus inhibiting the inflammatory processes that occur during the early phases of atherosclerosis [11, 12]. Furthermore, this adipocyte protein has been observed to play a protective role in experimental models of vascular injury [7, 8, 9]. A proteolytic cleavage product of adiponectin including its globular head, known as globular adiponectin or gACRP30, has been found to circulate in human plasma . Recent studies have shown that bacterially expressed and purified globular adiponectin is pharmacologically active and induces free fatty acid oxidation in incubated mouse muscle and cultured muscle cells . In addition, when administered to mice fed a high fat meal, globular adiponectin was observed to cause a modest decline in plasma-free fatty acid and glucose concentrations, while chronic administration was observed to cause weight loss without diminished food intake . One study reported greater potency of globular adiponectin in reversing insulin resistance than uncleaved adiponectin . In our study, we investigated whether globular adiponectin activates vascular endothelial cells to produce NO. We provide evidence that globular adiponectin increases endothelial NO production. Human umbilical vein endothelial cells (HUVEC) were obtained from Clonetics (San Diego, Calif., USA) and cultured in EBM medium supplemented with 5% fetal calf serum in the standard fashion. In addition, bovine aeortic endothelial cells (BAE: Cell Systems, Kirkland, Wash., USA) were cultured in medium 199 (Invitrogen, Carlsbad, Calif., USA) containing 10% fetal calf serum. These cells showed the specific characteristics of endothelial cells by immunohistochemical examination and morphological observation. All the cells in this experiment were used within passages 3 to 5 and were examined to ensure that they showed the specific characteristics of endothelial cells. To detect NO production within monolayers of endothelium, bovine aeortic endothelial cells were cultured in 24-well dishes and studied 1 day after confluence. After 1 h of incubation, nitrite and nitrate levels (NO2- and NO3-) in the medium were measured with an automated NO detector/high-performance liquid chromatography system (ENO10, Eicom, Kyoto, Japan). For quantitative measurement of mRNA, 2 µg of total RNA was treated with DNase I for 15 min and subsequently used for cDNA synthesis. The reverse transcription was carried out using a SuperScript pre-amplification system (Gibco BRL, Gaithersburg, Md., USA) with random oligonucleotide primers. TaqMan probes and eNOS primers were designed using Primer Express (Applied Biosystems, Tokyo, Japan) and synthesized by Applied Biosystems. The following primers were used: forward primer, 5′-TCTCCGCCTCGCTCATG-3′; and reverse primer, 5′-AGCCATACAGGATTGTCGCC-3′. The TaqMan probe was as follows: 5′-FAM- CACGGTGATGGCGAAGCGAGTG-TAMRA-3′. The TaqMan probes and primers used for the control (GAPDH) are commercially available and were purchased directly from Applied Biosystems. A typical reaction (50 µl) contained 1/20 of reverse transcription (RT) reaction cDNA, 200–400 nmol/l of primer, and 100 nmol/l of TaqMan probe in 1× TaqMan master buffer. The PCR reactions were carried out in an ABI PRISM 7700 System (Applied Biosystems) under the following conditions: 50°C for 2 min, 95°C for 10 min, 40 cycles at 95°C for 15 s, and 60°C for 1 min. PCR results were analyzed using the Sequence detector 1.6 program (Applied Biosystems). To evaluate eNOS mRNA stability, cells were exposed to actinomycin D (5 µg/ml) and Realtime PCR measurement of mRNA levels was followed. The effect of globular adiponectin on eNOS mRNA stability was assessed by addition of globular adiponectin after actinomycin D in the absence and presence of TNFα. Citrulline synthesis was measured by modification of a previously described technique [13, 14]. Cell monolayers were incubated at 37°C for 30 min in Hanks’ Balanced Salt Solution (pH 7.4) containing 0.5% FBS. Subsequently, cells were incubated with globular adipoenctin and/or Ca Ionophore in the presence of 10 µmol/l L-arginine and 0.12 MBq/ml L-[3H]arginine. After 15 min the reaction was stopped with cold phosphate-buffered saline (PBS) containing 5 mmol/l L-arginine and 4 mmol/l EDTA, after which the cells were denaturated with 96% ethanol. After evaporation, the soluble cellular components were dissolved in 50 mmol/l HEPES, 5 mmol/l EDTA (pH 5.5), and applied to 2 ml columns of Dowex AG50WX-8 (Na+ form). Radioactivity corresponding to [3H]citrulline within the eluate was quantified by liquid scintillation counting. This was expressed as fentomoles/mg of cell protein. Basal [3H]citrulline synthesis was determined from L-NAME (1 mmol/l, 30 min pre-incubation)-inhibitable radioactivity in unstimulated cells, which was not always detectable. The method used for Western blot analysis was the same as previously described , using ECL reagents (Amersham Biosciences, Tokyo, Japan) for chemiluminescence. Anti-eNOS monoclonal antibody was obtained from BD Transduction Laboratories (San Diego, Calif., USA) and anti-phospho-Ser-1179 eNOS polyclonal antibody was from Cell Signaling Technology (Beverly, Mass., USA). Horseradish peroxidase-conjugated anti-mouse and anti-rabbit secondary antibodies were from Santa Cruz Biotechnology (Santa Cruz, Calif., USA). Globular adiponectin was obtained from Wako Pure Chemical Industries (Osaka, Japan). This protein is recombinant and derived from mouse globular domain ACRP30 cDNA expressed in E. coli. This globular adiponectin was endotoxin-free according to the limulus test (from Sigma; sensitivity, 0.06 U/ml). Data are presented as the means±SEM. Multiple comparisons were evaluated by ANOVA followed by Fisher’s protected least significant difference test. A p value of less than 0.05 was considered statistically significant. Incubation of BAE with globular adiponectin (1 µg/ml) increased the concentration of bioactive NO in the supernatant of the cells (as measured by NO2− and NO3− levels). Examination of the time course showed a substantial increase in NO production for 1 h, after which only a modest elevation in NO production was observed (3–8 h, Fig. 1A). Globular adiponectin (1 µg/ml) increased NO production, and Calcium Ionophore (A23187:1 µmol/l) also increased NO production during a 1-h period of incubation. Globular adiponectin plus Calcium Ionophore additively increased NO production (Fig. 1B). Incubation of BAE with globular adiponectin (0.01 to 2.5 µg/ml) increased NO production in a concentration-dependent manner (Fig. 1C). The additive effect of Calcium Ionophore plus globular adiponectin (0.01 to 2.5 µg/ml) increased NO production in a concentration-dependent manner (Fig. 1C). eNOS phosphorylation was observed as early as 5 min after administration of globular adiponectin (1 µg/ml), and reached a maximum after 10–20 min in HUVEC (Fig. 2A). The phosphorylation of eNOS by globular adiponectin was observed to occur in a concentration-dependent manner. To measure eNOS activity, HUVEC were incubated with either globular adiponectin (1 g/ml), Calcium Ionophore (1 µmol/l), or globular adiponectin plus Calcium Ionophore for 15 min, after which citrulline synthesis in the cells was measured. eNOS activity, measured in terms of citrulline production, was observed to increase with globular adiponectin treatment. Calcium Ionophore also increased eNOS activity, and an additive increase in eNOS activity was observed when HUVEC were incubated with globular adiponectin and Calcium Ionophore together (Fig. 2B). Globular adiponectin enhanced eNOS mRNA expression in HUVEC. Incubation of HUVEC with globular adiponectin (1 µg/ml) increased eNOS mRNA levels for 4 to 8 h, after which a more modest increase of eNOS mRNA levels was observed until 24 h (Fig. 3A). To investigate whether the increase in mRNA levels resulted from increased stability of eNOS mRNA, the time course of eNOS mRNA degradation was then measured in cells treated with globular adiponectin. The half life of eNOS mRNA was found to be approximately 15 h, and this was not changed in the presence of globular adiponectin. TNFα, in contrast, was observed to accelerate eNOS mRNA degradation, resulting in a half-life of 2.5 h. The instability produced by TNFα was not reversed by co-culture with globular adiponectin (Fig. 3B). Incubation of HUVEC with globular adiponectin (1 µg/ml) enhanced eNOS protein expression after 4 and 8 h of incubation, and a more modest increase of eNOS expression was observed up until 24 h. In the presence of TNFα, eNOS protein levels were decreased at 4 and 8 h. The enhancement of eNOS expression induced by globular adiponectin was completely cancelled in the presence of TNFα (Fig. 3C). Our study shows that globular adiponectin induces eNOS activation in vascular endothelial cells. In addition, globular adiponectin up-regulates the gene expression of eNOS in vascular endothelial cells. Thus, globular adiponectin increases NO production through activation of eNOS enzyme activity and by increasing eNOS expression. The observed activation and up-regulation of eNOS might explain some of the vasoprotective properties of adiponectin and, therefore, some of its beneficial effects on the cardiovascular system. Globular adiponectin causes eNOS enzyme phosphorylation, which activates eNOS. Recent observations have shown that AMP-activated protein kinase (AMPK) phosphorylates eNOS on Ser1179 and activates rat cardiac eNOS in vivo [16, 17], while adiponectin or globular adiponectin activates AMPK [18, 19]. This could be the mechanism by which adiponectin causes phophorylation and activation of eNOS. We observed the additive effects exerted by globular adiponectin and Calcium Ionophore on NO synthesis. We speculate that they are due to the fact that the two substances activate eNOS with different mechanisms, calcium-dependent (Calcium Ionophore) and calcium-independent (globular adiponectin), which is compatible with AMPK activation by globular adiponectin. It is to be elucidated whether globular adiponectin uses the same mechanism used by insulin, VEGF and estrogens to activate eNOS in a calcium-independent way. Globular domain adiponectin also increases eNOS mRNA expression, probably through transcriptional activation, but does not affect the stability of eNOS mRNA. It is well known that TNFα down-regulates eNOS by reducing mRNA and protein expressions. We examined whether globular adiponectin could reverse the effects of TNFα on eNOS mRNA and protein expressions. However, no effect of globular adiponectin on TNFα-induced reduction of eNOS was observed. It has been shown that physiological concentrations of adiponectin cause a dose-dependent decline in TNFα-induced monocyte adhesion and VCAM-1, E-selectin, and ICAM-1 expression in human aeortic endothelial cells, suggesting that adiponectin modulates the endothelial inflammatory response . Differences in the observed effects of adiponectin in this experiment and in our study might be partly due to differences between full-length adiponectin and the globular domain of adiponectin, although the exact mechanism for this remains unknown. A variety of data suggest that adiponectin or ACRP30 enhance the actions of insulin under physiological conditions in vivo. A number of studies have shown that thiazolidinediones, a class of insulin-sensitizing drug used to improve glucose tolerance in patients with Type 2 diabetes, stimulate adiponectin production within adipocytes and thus, increase its concentration in plasma [1, 20]. Thiazolidinediones are thought to have anti-atherogenic activity, which could be associated with increased adiponectin and increased NO production, in endothelial cells. Adiponectin circulates in the serum as three distinct oligomers: a trimer, a hexamer, and a higher molecular weight species . A proteolytic cleavage product of adiponectin that includes its globular head group (gACRP30 or globular adiponectin) has also been found to circulate in human plasma . One study observed greater potency of globular adiponectin in reversing insulin resistance . While others reported improved insulin sensitivity and increased fatty acid oxidation with gCRP30 . These recent studies have shown that bacterially expressed and purified globular adiponectin is pharmacologically active, while further study is needed to establish if gACRP30 and full-length ACRP30 have different physiological functions. We also examined the effects of full-length adiponectin on NO production in BAE. The full-length adiponectin was found to stimulate NO production as potent as globular adiponectin. A cloning paper of adiponectin receptors was published which shows the expression of adiponectin receptor 1 (AdipoR1) and 2 (AdipoR2) and that AdipoR1/R2 serves as receptors for globular and full-length adiponectin . We examined the adiponectin receptor transcript in HUVEC with RealTime PCR using primers published in the paper . We found the mRNA expression of AdipoR1 but AdipoR2 mRNA was poorly expressed in HUVEC (data not shown). Thus, both globular and full-length adiponectin may exert a similar effect on eNOS activation via AdipoR1. The half maximal concentration of globular adiponectin with regard to induction of NO production was found to be approximately 0.25 µg/ml that could be reached under physiological conditions [1, 23]. It is known that knockout mice lacking eNOS develop hypertension, insulin resistance, hyperlipidaemia and show augmented ischaemia-reperfusion damage [24, 25]. Vascular NO conveys vaso-protective and anti-atherosclerotic effects through a number of mechanisms . Thus, potentiation of eNOS activity by adiponectin could explain the vascular protective effects. In conclusion, our study shows that globular adiponectin stimulates eNOS activity and expression, thus leading to enhanced production of bioactive NO. This study was supported in part by a grant from the Japan Private School Promotion Foundation. The authors are grateful to Dr. Masashi Ikeda and Dr. Kazumi Akimoto (Institute for Medical Science, Dokkyo University School of Medicine) for technical assistance.